A few weeks ago (yes I'm very behind!) I ventured out into the darkening evening to catch a train into the centre of Bristol. It's a pretty rare occurrence that I leave the house after dark, but this was for a special occasion. I had been invited to a lovely evening hosted by Nomads clothing, in the ever wonderful Harts Bakery nestled under the arches of Temple Meads station. I arrived to a warm welcome and had a catch up with other blogging friends, and was finally able to put some names to faces of lovely ladies I'd not had the pleasure of meeting in the flesh before! The evening was cosy and warm and celebrated beautiful ethical clothing as well as crafts and delicious food. What more could you want?! A rail showcasing a sample of the high quality clothing available from Nomads drew me in and I couldn't help but touch all the beautiful organic cotton clothes and swoon over the hand block printed loungewear on offer. I did fall in love with this dress, but alas my ever expanding stomach wouldn't allow me to fit into it, so instead I settled for this gorgeous kimono which I've been obsessed with and is a great transitional piece. As the evening wore on I managed to sample the delicious Moroccan inspired food, as well as try my hand at making my own pom pom bag tassel as well as lust over several of the items on display from Directors Notebook. I had a great evening, and was very inspiring to be surrounded by such beautiful and ethical products, and especially to chat to the designer Niki Groom about the inspiration for many of the pieces as well as have my portrait drawn by her! Nine favourite children's books for Christmas! 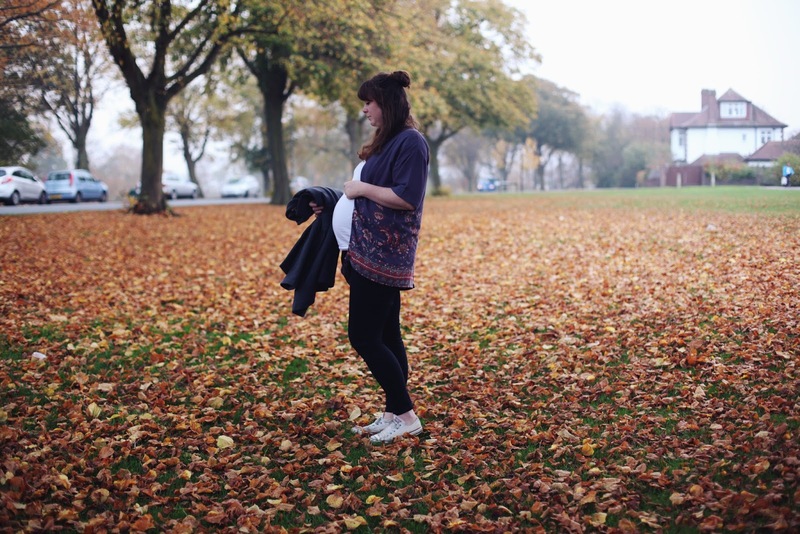 My maternity winter wardrobe must haves!